Imagine never having to look for the next exit where you can fuel up. Workers installing the rail into the road. Photo: Courtesy of eRoadArlanda. Some people hesitate to buy an electric car because they worry about running out of battery. But imagine if it could recharge while driving. 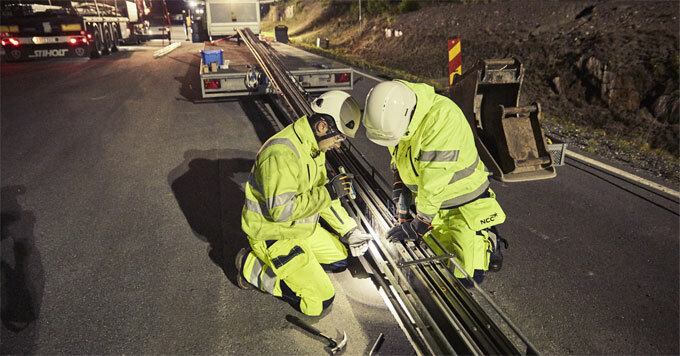 Hans Säll is with Sweden’s eRoadArlanda project, which is developing technology for electrifying roadways. The system works by retrofitting roadways with a thin metal rail that delivers a charge to electric cars passing overhead. To receive the charge, cars need to have a special connecting rod installed on the undercarriage. Researchers are now testing the technology using a truck on a 1.2 mile stretch of public road in Sweden. There’s a long way to go before electric roads become common. But Säll says if it catches on, the technology may enable auto companies to build cars with smaller, less expensive batteries. And, it could help reduce drivers’ anxiety about running out of power on the road.